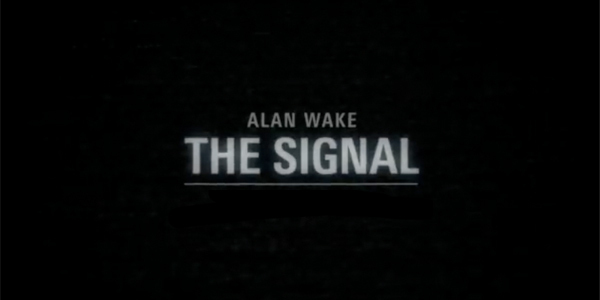 The Signal – Alan Wake’s newest episode is available now! If you bought and played Alan Wake when it was released earlier this year, then you may be pleased to hear that the first episode of downloadable content has just been made available on Xbox Live! It gets better though, because if you bought the game brand new you are able to download it absolutely free! (or for 560 Microsoft Points if you went for a pre-owned offering of the game instead). According to descriptions, this first episode entitled ‘The Signal’ continues the story of Alan Wake’s twisted imagination right where the main game left off, and allows us to delve even deeper into the utterly insane world being created in his own mind. Go download it, right now! This entry was posted in News and tagged alan wake, dlc, the signal, trailer. Bookmark the permalink.